Lots of colour, a dose of humour, an eye for detail, a dash of romance: all of the above typify the work of the Dutch duo Telmo Miel (Telmo Pieper and Miel Krutzmann). They met at the prestigious Willem de Kooning Academy in Rotterdam. They have been an artistic duo since 2012. 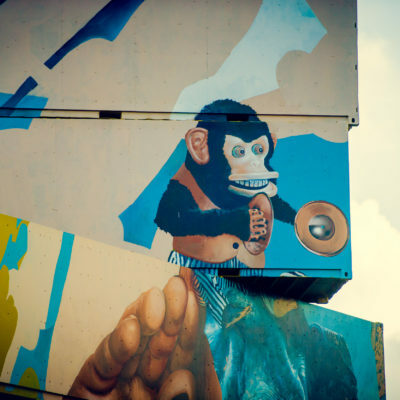 Every mural, illustration or painting is the best of both their worlds. Telmo and Miel complement each other, become one in their work. Realism meets surrealism, fantasy encounters reality. It leads to epic works of a unique character. 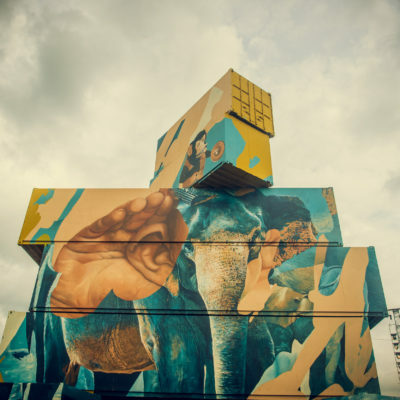 Works by Telmo Miel are easy to spot thanks to their intense colour palette. 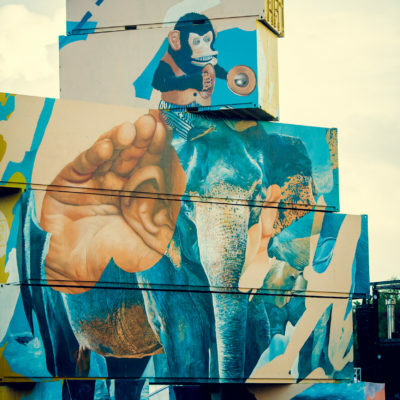 The duo recently painted and sprayed walls in Adelaide, Rotterdam, Honolulu, Berlin and Buenos Aires. Lots of colour, a dose of humour, an eye for detail, a dash of romance: all of the above typify the work of the Dutch duo Telmo Miel (Telmo Pieper and Miel Krutzmann). 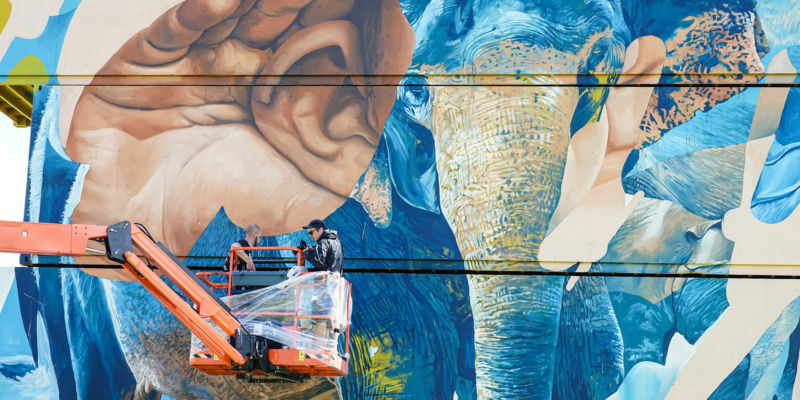 Every mural, illustration or painting is the best of both their worlds.